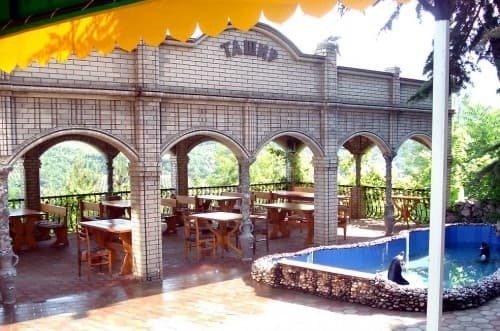 The hotel complex "Tashir" is located on the highway Yalta-Sevastopol near the Yalta zoo and Polyana Skazok. Cozy and comfortable 2 and 3-bed rooms are located in a two-storey building, designed to meet the maximum needs of holidaymakers. The hotel offers various categories of rooms with balconies and chic sea and mountain views. In the rooms: refrigerators, air conditioners, TVs with cable TV, Internet Wi-Fi, hot and cold water round the clock. 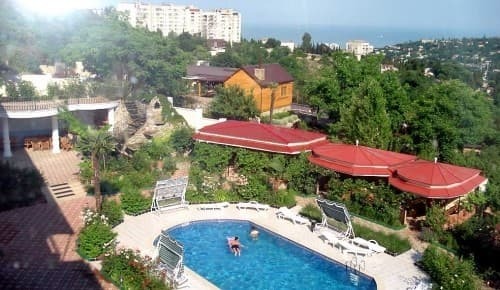 On the territory of the hotel complex "Tashir" there are: a swimming pool with biological water treatment, decorative waterfalls, a sea of ​​flowers, a barbecue area, gazebos, a car wash, a guarded parking lot. 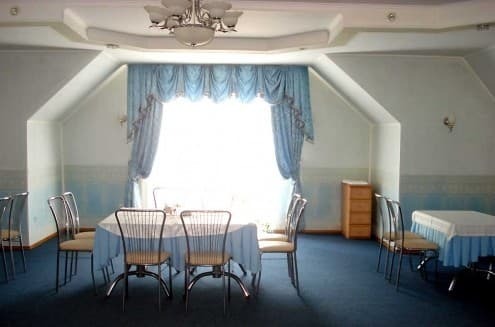 Breakfast, lunch or dinner guests can in the room or restaurant "Tashir", on the summer grounds, from which a panorama of the Crimean coast opens. To the sea 10-12 minutes drive. PRICES MAY CHANGE, IT IS REQUIRED TO RECEIVE INFORMATION FROM THE OPERATOR. Description of the room: Double bed, furniture, air conditioning, refrigerator, hot and cold water round the clock. Description of the room: The room consists of a living room and a bedroom. The room has a balcony, TV, air conditioning, refrigerator. Description of the room: The room consists of two bedrooms and a living room. The bedrooms have double beds and matching furniture. The room has air conditioning, refrigerator, necessary utensils, hot and cold water around the clock. Мотель очень уютный и красивый, вид из окон открывается потрясающий. Находится далековато от моря, но эту маленькую оплошность с лихвой заменяет большой бассейн в уютном дворике мотеля. В мотеле очень тихо и спокойно. Для семейного отдыха наилучший выбор. Очень красивый отель. Прекрасный вид на горы и море с гор. Заботливый персонал. Находится далеко от остановок городского транспорта. Вечером без такси не добраться, так как в горах и блуждать по крутым узким улочкам-лабиринтам в полной темноте можно только с фанариком и отлично ориентироваться где что. 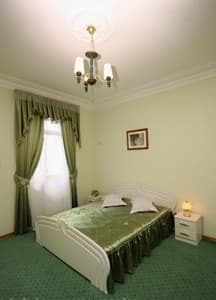 In one-room rooms there is a clamshell (50 UAH), and in suites the arrangement is on the sofas (100 UAH). 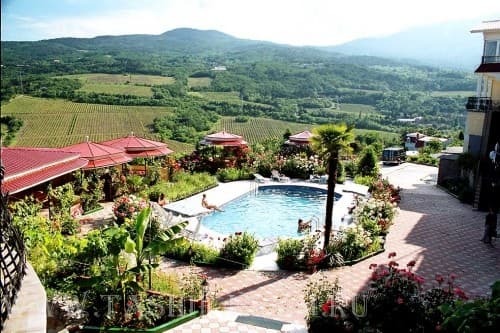 The hotel complex "Tashir" is located on the highway Yalta-Sevastopol near the Yalta zoo and Polyana Skazok. To the sea 10-12 minutes drive. The hotel can be reached from the bus station by any minibus taxi going towards the zoo.